Last year on 9th February, JNU was at the centre of everyone's attention. Allegations of 'anti-national' slogans being raised in the campus by students were being made. The subsequent crackdown, arrest of students, eventual release of the arrested students, lawyers beating up Kanhaiya Kumar outside the Patiala House Court, and Kanhaiya Kumar's rousing speech after his release took the prime time slots for the rest of the month. 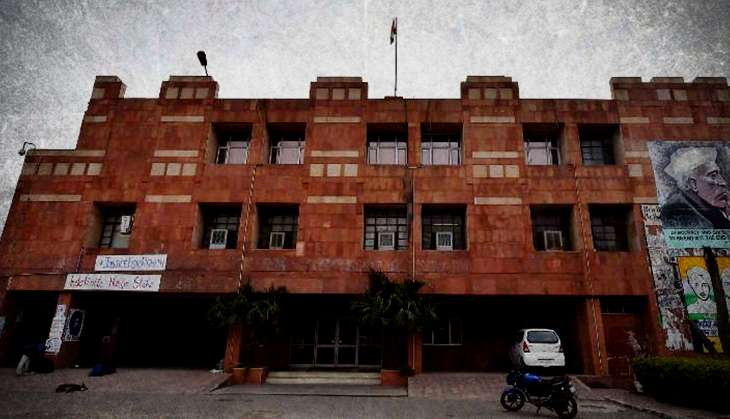 An year after the microscopic scrutiny of the institution, two ex JNU ABVP members have penned a scathing indictment of the organisation's role in the whole fracas. In a guest post for Kafila, Jatin Goraya and Pradeep Narwal write, "We were members of ABVP previous to the events of Feb 9 last year, and we subsequently resigned because of our differences with this fascist, casteist, Brahmanical and patriarchal organisation. These differences, as we have earlier said, had been long standing ones. But after the orchestrated attack on JNU, we felt a limit had been crossed and we could no longer associate with ABVP." They directly allege that the attack on JNU was orchestrated by the RSS and the BJP. They called the JNU unit of ABVP "the foot soldiers" who were carrying out a plan to ruin the institution. They claim that Rohith Vemula was called a "terrorist sympathizer" in internal ABVP meetings. They had particular criticism for the nationalism espoused by the Sangh Parivar. They wrote, "They claim themselves to be the true nationalists, but in their understanding of nation and nationalism there is no space for dalits, muslims, adivasis, women and sexual minorities. Let there be no doubt, ABVP's brand of nationalism is just upper-caste male jingoism masquerading as nationalism." READ NEXT >> After Baahubali 2, SS Rajamouli's Mahabharat to feature Rajinikanth, Mohanlal and Aamir Khan ?